We offer 2BRs at Colonies of Williamsburg. The Colonies two bedroom condos sleep 6 people, have 2 bathrooms, a full kitchen, patio or deck. We emphasize summertime rentals. We can also get “off season” lodging accommodations at Colonies at Williamsburg Resort, and also at the Williamsburg Plantation Resort, at great prices! Resort age requirement: 21+ minimum age of person checking into unit. Here are our 2019 weekly summer school holiday vacation rentals. Tax and cleaning are included in these prices. Compare our discounted price to the $1752 best available non-refundable rate at tripadvisor.com. Pay with Google Pay to [email protected] and take $25 off your rental! Or, click the button to pay with credit card/PayPal — if you see your desired week on the list — then, it is available for purchase. Also, consider our Williamsburg Plantations offerings. If you need an off-season week at a great price, we can get that. Please email us with your dates (weekly only, and weekend check-ins only). Please click here to check availability or to pay for your holiday villa. Kicking the tires? Maybe try a search using The Vacationator search engine tool? 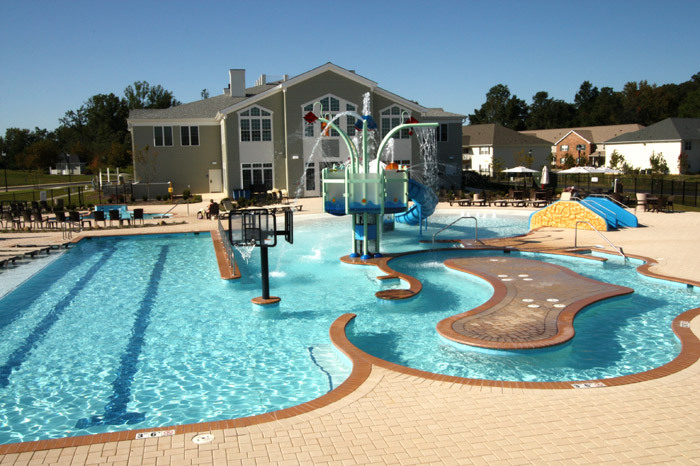 The Colonies of Williamsburg Resort opened in July 2009, and offers you and your family the comforts and amenities you seek in a peaceful, suburban setting. Area attractions, historical sites, superb dining, abundant outlet shopping, and world-class golf are just minutes away! Guests enjoy new, stylishly furnished residential-style accommodations consisting of two condominiums with full kitchens and fireplaces. Onsite recreational opportunities include indoor and outdoor pools, outdoor hot tub/spa, and tennis courts. Williamsburg, Virginia -– a town synonymous with American history — and the perfect location for fun-filled family vacationing. At The Colonies at Williamsburg Resort you’re just minutes from the historical sites of Colonial Williamsburg, Jamestown Settlement, and Yorktown Battlefield and Victory Center. Yet, Williamsburg is not all about history by any means. Guests enjoy thrills and spills at two award-winning theme parks – Busch Gardens and Water Country USA. With over 125 outlet stores, all located a few miles from the Colonies at Williamsburg Resort, Williamsburg is a shopper’s paradise. And, for those golfers out there, Williamsburg boasts fifteen championship golf courses. Williamsburg, Virginia – where there’s something for everyone!